Twitter has turned into a fantastic way for businesses to connect with fans, so it’s no surprise that we’ve recently seen a number of local establishments begin to actively promote their Twitter accounts to customers. It’s a win/win situation: customers can get in on special deals and discounts, and businesses get a direct line to their customer base to remind them that they still exist. Unfortunately, as businesses become more popular these Twitter accounts can become difficult to manage. 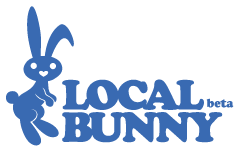 LocalBunny, a new Colorado-based startup launching tonight, is looking to help. The problem LocalBunny solves is fairly straightforward: small businesses with relatively modest followings can usually respond to all of their fans without too much trouble, but as Twitter continues to grow, this is is going prove more difficult. Celebrities have long dealt with the same issue, but it’s hardly a big deal if someone like @johncmayer fails to respond to my tweets. The same can’t be said about businesses, where a missed response could well lead to a lost customer. So LocalBunny automates these responses. To get set up on the service, businesses create a Twitter account they’d like to use to represent their business (as an example, I’ll use @SFwidget). They then make a list of keywords that users will be able to send, along with the auto-respones that LocalBunny should send back. For example, I could set it so that if a user tweeted “@SFwidget hours“, they’d get a response listing off my business’s hours of operations. Likewise, restaurants could include keywords that would send out their daily specials, and bars could send out ‘secret’ passwords that could entitle you to a drink special. If you’d like to try it out for yourself, try tweeting “@crunchbasedemo company apple”, which will query CrunchBase for information on Apple Inc.
It’s a good idea, but unfortunately it’s going to have a much harder time going viral than it would have a few months ago, before Twitter severely handicapped the way @replies worked. There used to be an option that allowed users to see all @replies sent out by the people they were following — an option that was popular for ‘power users’, as it served as a great way to discover interesting people, and also helped them stumble upon neat new services like this one. Unfortunately, Twitter killed off that option in May, making it so that you can only see @replies when you are following the person to whom the message is directed (yes, it’s confusing). In effect, nobody is going to be seeing your queries to the local businesses unless they’re already following that business on Twitter, which isn’t likely. There’s also one other problem that the startup has at launch: there’s no quick way to check which keywords a given business is supporting. Founder Kevin Cawley says that you’ll soon be able to simply include the word ‘help’ in your outgoing message to get a directory of available terms, but that isn’t live yet. For the time being, the service includes a number of suggestions when you initiate contact with it. One other potential knock against the company: LocalBunny is charging $99 per month to operate on a single Twitter account with 25 supported response keywords, with a ‘deluxe’ package available with unlimited responses (you have to call in to get the price). That seems a bit steep for a service that is still pretty foreign to most people, but as Twitter to continues to pick up steam there’s a chance it will prove to be well worth it.